Mumbai, Oct 28 (IANS) Renowned Gandhian Ziad Medoukh of Palestine has been conferred this year’s prestigious “Jamnalal Bajaj International Award for Promoting Gandhian Values Outside India”, it was announced on Saturday. A staunch believer in democracy, freedom and human rights, Medoukh is professor and director of the French Department at the Al-Aqsa University in Gaza. Known for his brilliant testimony of non-violence that he presents to his students, Medoukh is one of the prominent speakers for Palestine in French-speaking countries, and imparts training in non-violence to teachers and youth in Europe and Middle East. In 2006, he and his friends founded a Peace Centre based on the principles of non-violent economy of Mahatma Gandhi which has played a crucial role in education as a form of non-violence resistance in Palestine. In 2011, he became the first Palestinian to be conferred France’s “Knight of the Order of Academic Palms”. Besides Medoukh, Shashi Tyagi, Founder and Secretary of Gramin Vikas Vigyan Samiti (GRAVIS) has been conferred the award for “Outstanding Contribution in the field of Constructive Work”. Founder-Trustee of Salaam Baalak Trust in New Delhi, Praveen Nair has been named recipient of the award for “Development & Welfare of Women and Chidren”, while NGO Jan Swasthya Sahyog has been awarded for “Application of Science & Technology for Rural Development”. 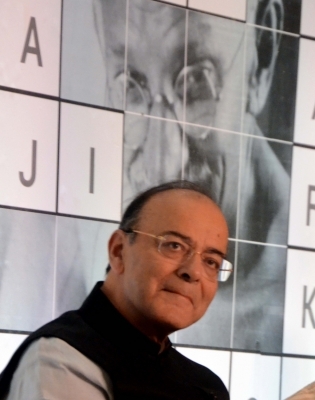 The 40th edition of the awards, instituted in memory of the great industrialist and follower of Mahatma Gandhi, during the Indian struggle for Independence, will be presented by Finance Minister Arun Jaitley at a special function here on Saturday.